What do the dome plans include? 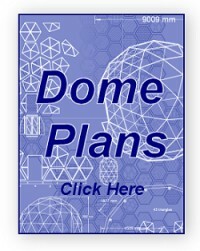 Title: What do the dome plans include? Guys, First off sorry if this is answered. I have been scouring the forums and have seen similar questions without an answer thus far. I am really trying to find out what exactly these plans include. Do they include instructions for properly laying out a foundation for the greenhouse? Do they include instructions on how to build vents? Do they include instructions on setting up a thermal mass? I am simply trying to ascertain if they contain anything other than building the jig and erecting the dome. Don''t get me wrong, that could be worth the money all on it''s own, but I still want to know.